Winemaker and Wine-rocker Marcelo Pelleriti drinks wine to stay young, and is known as one of Argentina’s most renowned enologists. His wines are powerful, elegant and filled with personality. He is an expert in vinification in barrels, orchestrating a symphony every time he creates a wine. Pelleriti received postgraduate training in Strategic Planning in Viticulture from Juan Agustín Maza University in Mendoza, and also received his Bachelor in Enology from Don Bosco School of Enology, Juan Agustín Maza University. Today, he manages the wine program at the prestigious Monteviejo winery. He is the only Argentine winemaker to receive a perfect score from Robert Parker, for his Chateau La Violette 2010, a Merlot made in Pomerol, France. Apart from his work in winemaking, Pelleriti has brought together rock music and wine, both through In Vino Veritas, his radio show, and his annual Wine Rock concerts. Noelia Gonzalez, our chief enologist, joined the Ojo de Agua team for what was supposed to be one month in 2012, and has never left. Noelia has winemaking in her blood. She comes from a family of winemakers and since a very young age, the winery was her playground. Noelia has worked 12 total harvests across Argentina and Spain, gaining priceless field experience to perfect her craft. 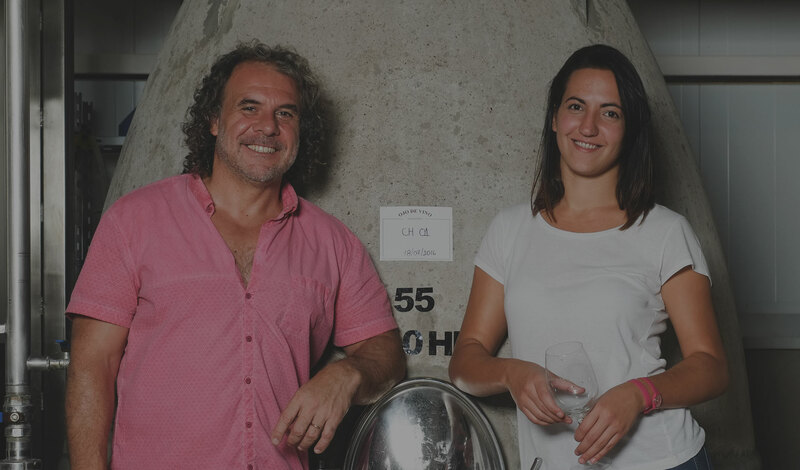 When creating a wine, she looks to truly express its terroir and origin - making delicious wines that people want to drink and keep drinking whether it’s by the glass or by the bottle. We are very lucky to have such a talented woman run our winemaking program and winery at Ojo de Agua.